I just wanted to introduce my latest tool, List Manipulator. Basically, it allows you to quickly edit and format lists. 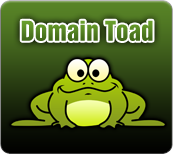 keyword lists, domain name lists, HTML lists, repetitive code, etc. I always do it manually or write a script each time to fix my current problem. some time in the future. If you have any feature requests, bugs or suggestions please contact me or comment!